FOR KAREN, KATE, CINDY, NANCY, MIA AND DON AND ALL THE SCORPIO SUN SIGNS AND RISING SIGNS OUT THERE! 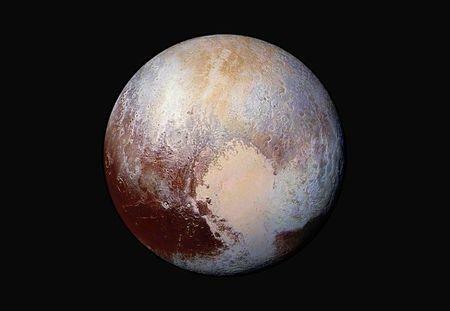 Pluto is the ruler of Scorpio and this is a fixed, water sign. There are two types of Scorpios: the lower scorpion and the soaring eagle. One tends to be more self-centered and extremely passionate and the other type tends to be more idealistic and devoted to the good of others. Both have strong will power but use it in different ways. Intensity would describe all Scorpios. They like to live their life to the fullest and tend to overindulge in work and in play. They have strong purpose and determination. Some jealousy is part of the Scorpio nature….. If they don’t experience it toward someone, they will probably experience it from someone. They have great powers of endurance and know how to rise above their difficulties. Their personal magnetism is very strong and there is always something dynamic and fascinating about them. Others always notice the Scorpio eyes, they seem to look right through you! The Rising Sign shows our physical body type and is the mask we wear in public. Sometimes the Scorpio Rising person has even more intensity in the eyes when they stare at you. 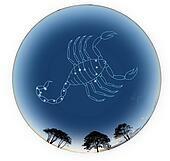 Scorpio has good intuition and can get right to the root of a problem. To direct those deep, strong emotions in a positive direction, one of the most valuable lessons to learn is self control and they eventually do. Scorpios love intrigue,mysteries, science, medicine, the arts, and research. They have the power to rise above all their difficulties. There is no limit to what they can achieve! Scorpios love secrets and they love to ferret out your secrets too. You must earn a Scorpio’s trust and once they are your friend, there is nobody more trustworthy, generous and careful to keep your secrets safe. But, never cross a Scorpio and get on their wrong side, they will get you back somehow, sometime when you are least expecting it because they never forget. They will get their revenge! A Scorpio will spare no expense when it comes to entertaining family and friends. But the most important element for a successful gathering is that they are in a good mood. Being so magnetic, their mood could be picked up by their guests. They deal with emergencies very well. Scorpios enjoy intense and dramatic conversation as much as good food. Scorpio throws a great party! Few Scorpios escape an emotional, traumatic love life, since they are easily swayed by their deep emotions and when love affairs go wrong, they like to go off alone and brood. This licking their wounds helps and they will emerge when ready, still retaining their dignity. Their strength of character helps them to hide their sensitivity. Fear of illness can be more worrisome than sickness itself because their imagination always fears the worst. The Scorpio mind is complex, subtle, penetrating, and they love to unravel mysteries or deal with complications. They use their executive ability, invincible will and personal magnetism whenever they can. They will stick with a project and accomplish seemingly impossible results. Their best climate is humid, and in a city by the ocean, a large river or a lake. Best flowers are chrysanthemums and other exotic blooms. Trees/shrubs: Mango, melon, papaya, peach, grape, cherry, cacti, hemlock, pine, wormwood, broom and box tree. Fragrances: pine, yucca, rosemary, cypress, briar roses and dogwood. Musical keynote: they vibrate best to “C” and this can be the high “C” used by opera singers. Tuesday is the favored day of the week. Colors: intense shades of scarlet, magenta, blues and greens. Herbs needed: Chickweed, clove, coriander, garlic, ginger, parsley, pepper, sage, caper and use sea salt.